It is a warm day today, again. But I’m not complaining! The weather is great to eat outside on your terrace or garden. I hope you will be inspired by these beautiful images! What a view! 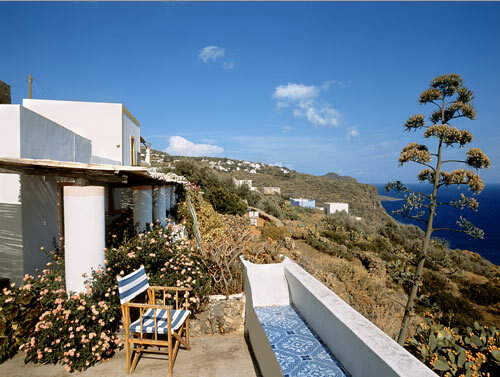 This house is also located on the Italian island Filicudi, one of eight islands that make up the Aeolian archipelago. 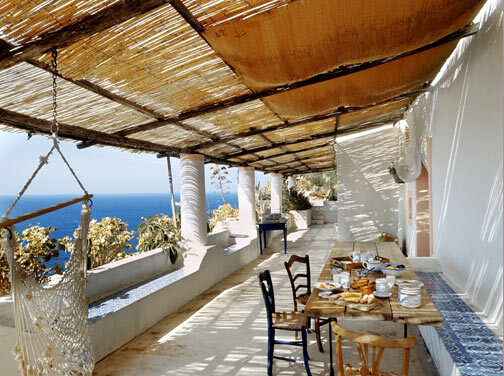 I love the Mediterranean atmosphere! Al fresco dining, cooking with the best seasonal ingredients… The Moro cookbooks are a great source for inspiration if you like to prepare some Mediterranean dishes. where do you find all these images? and why does everyone else in this planet seem to have a house somewhere beautiful? i love this house’s terrace. who could beat that view to the sea? 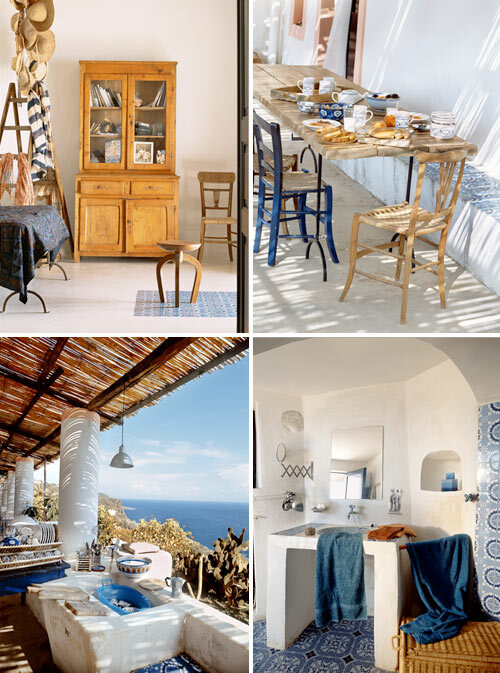 I love the blue tiles, especially on the stone benches! This must be typicall for the Eolie Islands, have seen them in Lipari and Stomboli as well. This is the perfect lifestyle! I dream of retiring in a place like this one day. Just go there! I have been there and still can not forget that. 200 curious inhabitants, serpentine roads and 2 small ports where to turn your car around!